Sleep cures all: Half of all discipline issues could be prevented if parents could secure a full eight hours of sleep in a 24 hour day. Make sleep a priority. The meals, laundry, and clutter will always be there, but a rested, contented parent is the biggest asset for patience, calmness and joy in parenting. I’m not the mom: When your children are out in public with you and misbehaving badly, pretend that you are the Aunt taking the kids for the day. Say loudly, “Just wait until your Mother hears about this!” and go about your usual routine. Bad days: In the midst of chaos, centre yourself first, before you calm down any screaming, or crying children. Make sure everyone is safe. Lie in the middle of the living room floor, put on your ipod, close your eyes and deep breathe. Get calm and centered. Then get up and decide what everyone needs in order to turn the day around: food, nap, walk, outing, or hugs. Your relationship, not obedience, is where it’s at: Rather than focus on your child’s obedience as a gauge of how well you parent, focus on the quality of your relationship. Is your child still communicating with you, sharing feelings, opinions and values? If so, you are a success. Stop punishing your children: Respect never includes punishment in a love relationship, no matter what the ages of the people involved. And parenting is a love relationship. Instead of looking at issues of discipline as behavior to be corrected, look at it as conflicts to be resolved. ABC’s of loving parenting: “A” is for Acknowledging the feelings of your child. Feelings have no limits. They are as real and normal as skin. “B” is for Behavior communication. What is your child trying to tell you? Look at their needs and feelings that drive the behavior. “C” is for Calming down. Get yourself calm, then get your child calm, then mutually problem-solve the issue. Build your parent-child relationship first, and their resume second: Unconditional love is support, encouragement and help in discovering who your child is and what they are capable of. When you love them unconditionally, they learn to love themselves, unconditionally and will grow into the wonderful people they are meant to be. Peace in the world begins in the home: The family is the training ground for all future relationships in love, work, politics, religion and friendship. If we treat our babies with love, safety and respect, as we would want to be treated, we will raise the next generation equipped to change the world a child at a time. Separate your anger from your discipline: When we are angry, we lose our self-control and issue punishments that we have no intention of carrying out when we are calm. Because the purpose of discipline is to teach self-control of behavior and self-regulation of emotions in our children, we need to demonstrate the same in ourselves. When we are calm, we make much better decisions and most always can focus on solving the problem with clarity of thinking. We don’t have to hurt children to teach them. In fact, they learn much better when not under stress. It takes a village, to cherish a parent, to nurture a child: Parents are the very first relationship builders. We can’t control our children, but we have tremendous influence. Parents need support, encouragement and practical help, not judgment. Hug, smile at, high five, give an A-OK, a kind word, encouragement, or give a pat on the back, to a parent you know who needs support. Sometimes they don’t need a problem-solver ; sometimes they just need a listening ear, and re-assurance that they are an awesome parent. Hugs; The best discipline tool ever! The child that needs our attention the most, is usually the one that “deserves” it the least. If you ever are in the position of not knowing what to do in any parenting situation, (as most parents routinely are) then default to a hug. If learning follows, you will be coming from a place of acceptance and caring and the message will stick much more with your child. Use your kindest words at home with those you love the most: Too often, we are the nicest, politest, kindest people to strangers. The store clerk, the plumber and the teacher all get our best behaviour, when we should be giving it to those we love – our family. Expressions of all feelings is absolutely necessary for health: Feelings are as common to our body as our big toe. The most respectful way to express feelings is to talk about them. Saying “I feel…” can be very therapeutic for children trying to sort out their feelings. We need to help our children deal with their frustrations, not to help your children avoid them: Our job as parents is to help our children sort out their unhappy feelings, by acknowledging that they exist and validating them. It doesn’t mean that we agree with them or understand them. It just means that we accept them. Time-outs are for parents, time-in is for the child: Parents need to take a minute to get themselves calmed-down. They teach children how time-out works, not by forcing the child into time-out, but by taking a time-out themselves. My fear is that we are raising an entire generation adverse to taking a time-out, because they have only experienced it as a punishment. Time-out is a wonderful life skill. Let’s demonstrate that by our actions. Giving a child time-in means to stay with him in a calming environment to help him gain self-control again. It’s not meant to be isolating and may include items to help him calm-down in his learning style. Children learn better by discovery than by being told: There are many lessons in parenting that parents cannot teach. Life will teach them if we let it unfold. Instead of punishment, problem-solve the issue: It’s not you against me. Instead, it’s both of us working together against the problem. With two or more brains working in synergy, we can come up with solutions acceptable to both of us. Modeling is discipline taught 24 hours a day, 365 days a year: In fact, if we provided no other interference in our children’s actions, other than modeling correct behavior, within the context of building a great relationship with our children, we would raise responsible, caring, respectful citizens. We underestimate our children’s ability to solve problems: Even a baby knows how to alleviate hunger. In childhood, negotiation is treated as an 11 letter swear word, yet, it is very needed in every love relationship. Often, our child’s first experience of negotiation is when their employer gives them training courses as adults. It’s a life skill that needs practice in a safe environment, such as the home, and with safe people such as parents, who will ensure safe consequences, while children are still young. Children crave teaching, direction and advice: Like adults, they want to know how to do the right thing, but not be forced to do it. The biggest technological advances in the past twenty years have been in communications, yet, our biggest hurdle in our relationships have been in interpersonal communications: Amid cell phones, internet, computers, video games, GPS, ipods, Blackberries and DVDs, there is one thing that every parent can provide their children that no advancement of technology will replace. Human non-sexual touch…hugs, pats, snuggles, and love. Previous postYes, Your Two-year-old Can Do Chores! 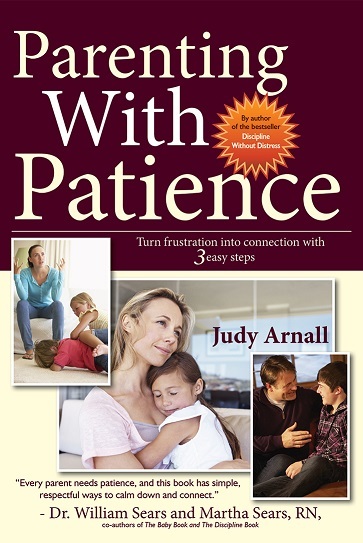 Next postParenting With Patience – Stop Yelling at the Kids for New Years!